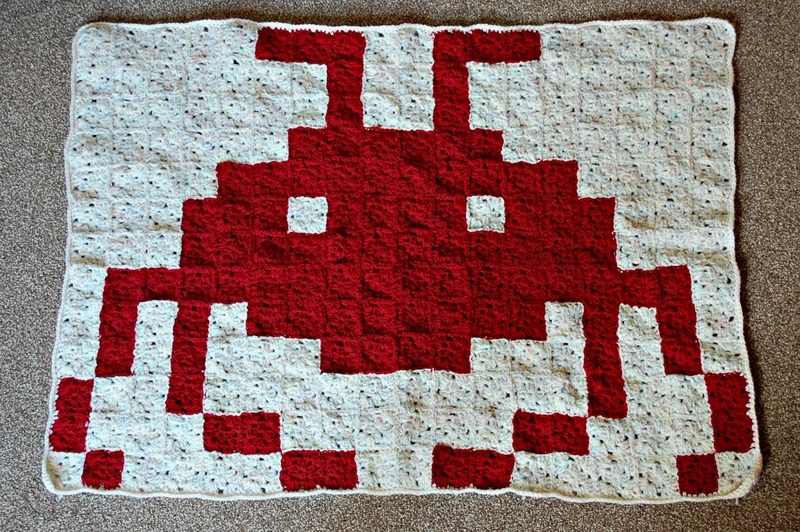 Here it is - my Space Invader baby blanket! The first of the two big projects that I've been spending most of my time on over the last few months. 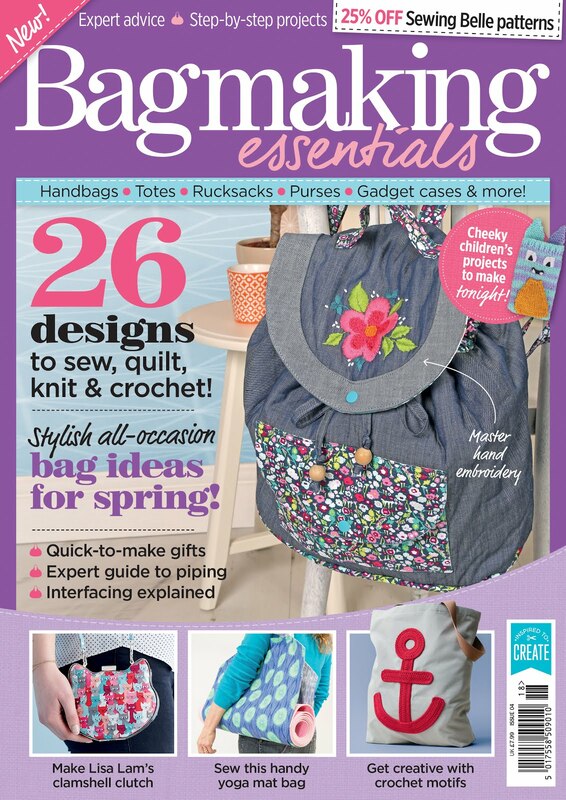 I've teased and alluded to this project many times, but now it's all finally finished (well, I'm not counting the 200 odd ends I need to weave in on the other side yet...that's a binge watching job for sure). 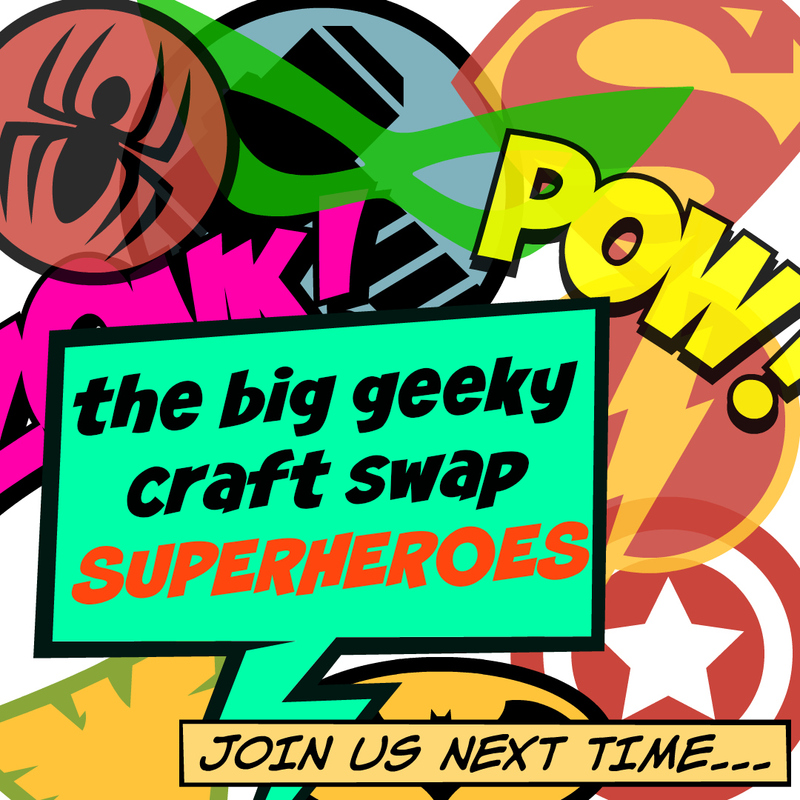 I thought of this idea a few months ago and got to working on it straight away. As it so happened in one of dad's clearing up sessions of mum's old craft supplies, he found 10 balls of some red wool, and my dressmaking teacher (lovely Lisa) gave me a large ball of white wool that she had no use for! Providence you see, and so I was able to design the below character. For space invaders fans reading, you might not recognise the cheeky character on the blanket. This is because I designed him on some graph paper. 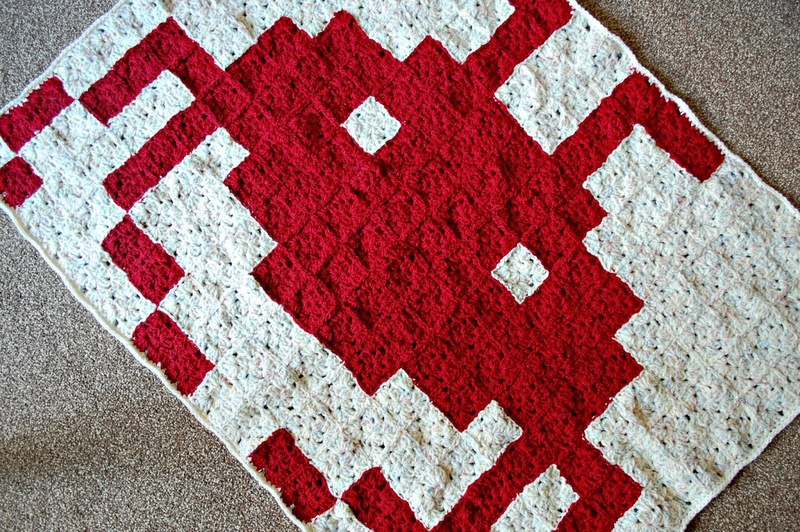 I wanted to have the fun of designing the character, and the option to be able to sell the blanket on, and as it's my own design (strictly speaking it's a space invader inspired blanket then I suppose ...) that should be ok! 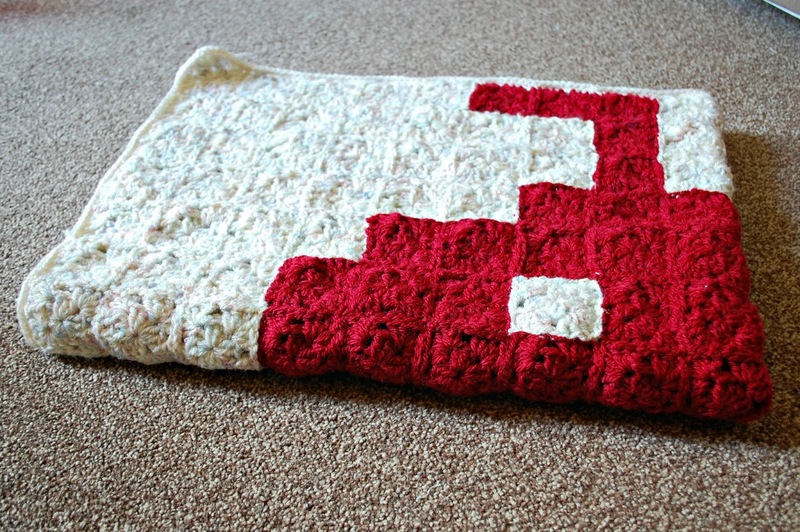 That is in face the plan, to sell this blanket on Etsy once all the ends are fixed up. Since I've taken the above picture I have actually washed the blanket ready for steaming, so those wonky edges should look a little neater. The blanket is made up of 228 individual mini-granny squares (100 red, 128 white) sewn together according to an image I put together on Excel (very hi-tech), and finished with a single crochet border twice round to neaten the edges. 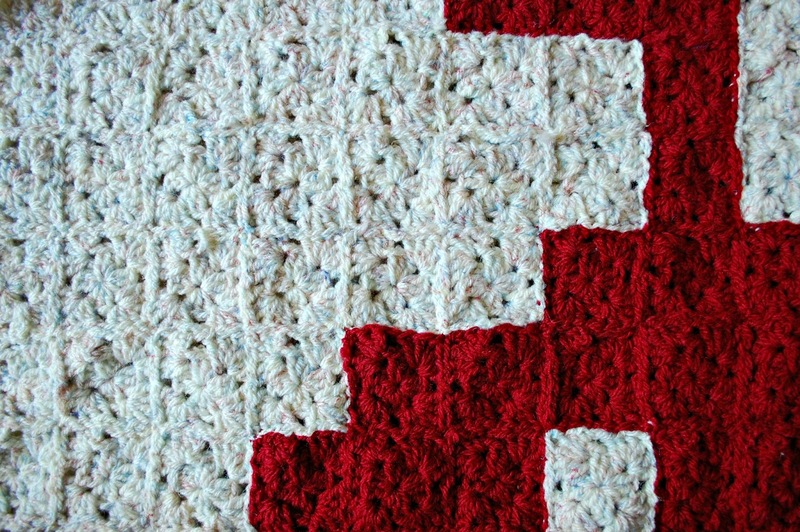 If you're very excited and want to get the stuff ready in preparation, you will be about 500g each of the colours that you want to use (my example is of course red and white), plus an extra 100g in your chosen background colour (white - for the border) and a 4mm crochet hook. Yarn should be Aran weight. 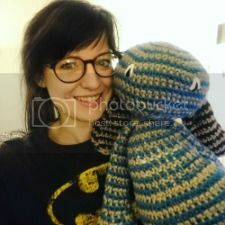 I will be including directions on how to crochet the mini-square, a chart for 2 versions of the blanket, and written instructions to support this - watch this space guys. And of course, in other delightful news, I finally finished the Sophie Cardigan! I've given you sneak preview of this on Instagram, but you can look forward to a more detailed, finished post within the week - I'm very excited that this project is finally finished and I can show you! 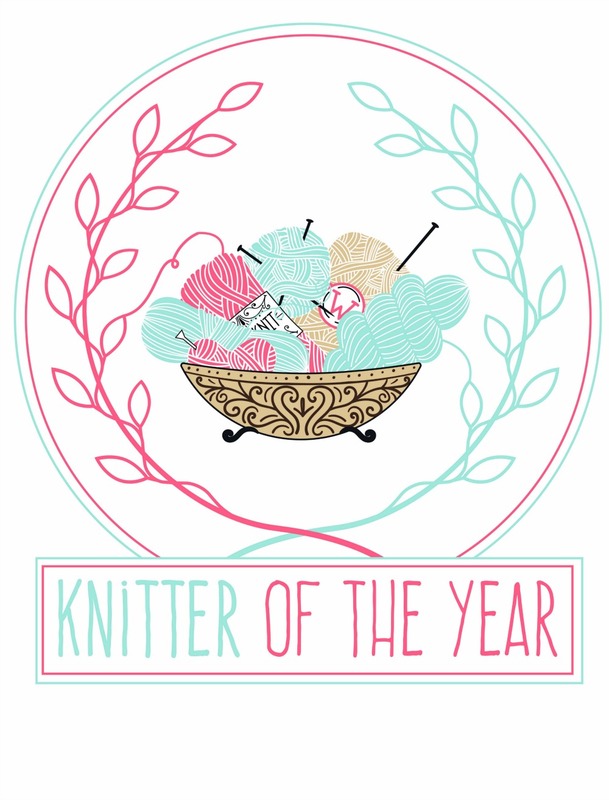 online knitter of the year - profile!